The report is built from Green Dealflow’s transaction database that tracks equity transactions of solar and wind projects around the globe. 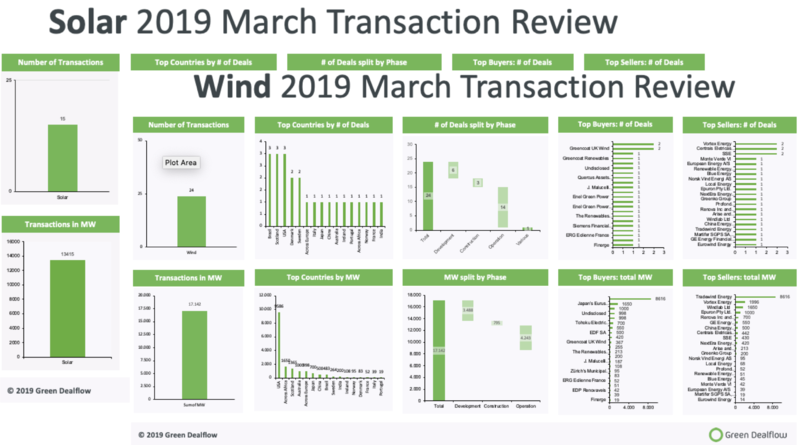 Altogether the month of March has been a very busy month in both solar and wind deals with 39 transactions overall mounting to 30.557GW (gigawatts). Please use the form to download the free transaction review from Green Dealflow.